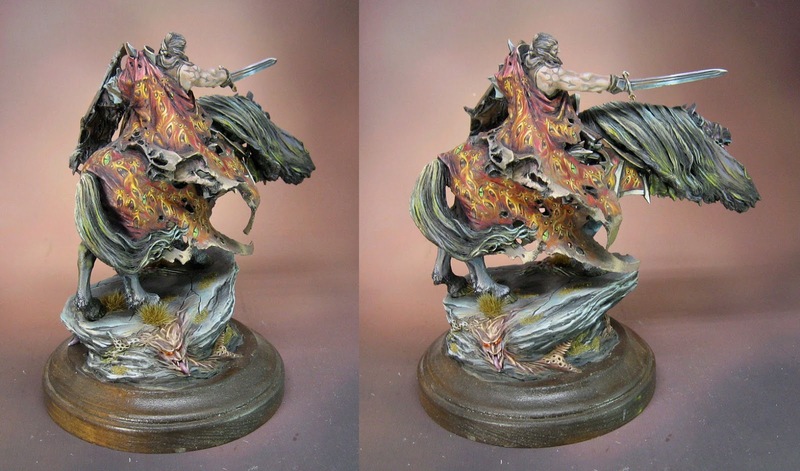 This is the largest scale piece that I have done so far, as 72mm. 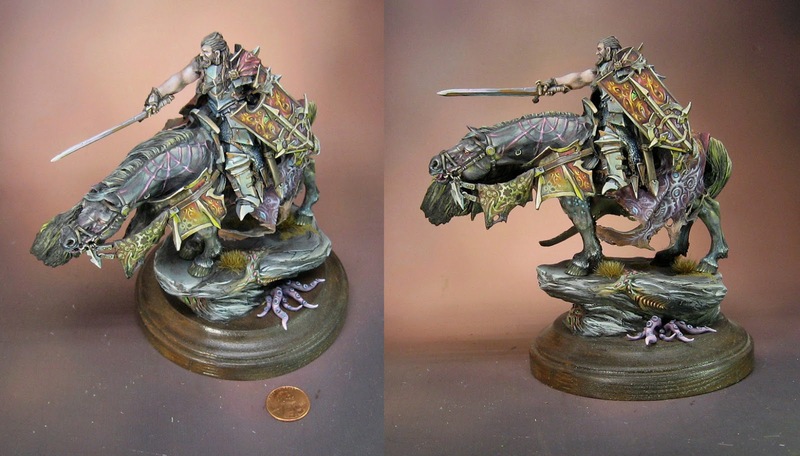 I have done a few other figures in this scale, but they are not mounted on a giant steed! This one is covered in freehand, as each of the 4 chaos gods are represented. It is pretty obvious which one is featured in these views! On this side, you have the Slannesh and Tzeentch markings. 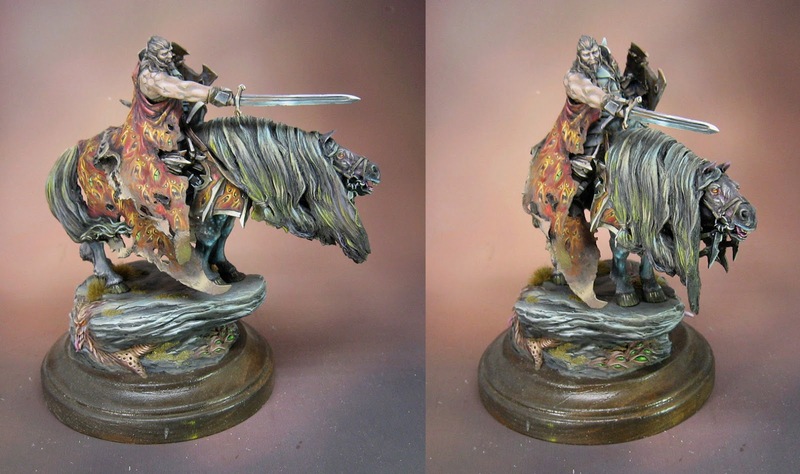 I have to say, it was nice to be able to do this kind of freehand on a much larger surface than the usual 28mm! I felt like people would actually see all the subtle designs. The penny gives you a sense of just how massive this is! 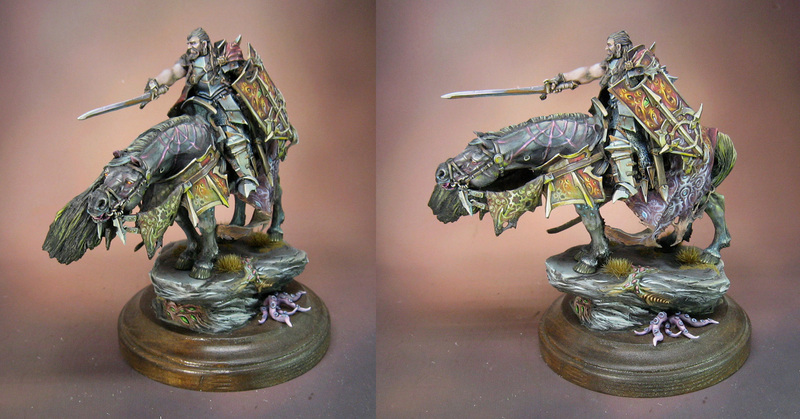 The entire base was scratch sculpted using Apoxy Sculpt, one of my favorite materials. 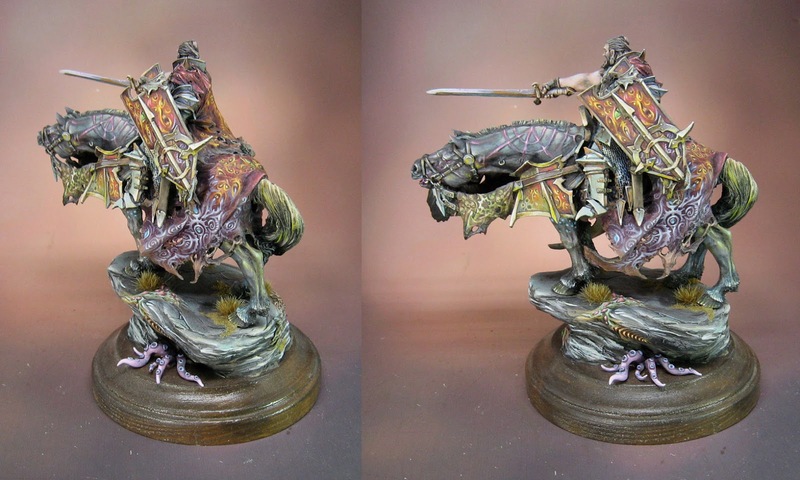 I did a number of base sculpting videos using that as part of the Painting Pyramid project. 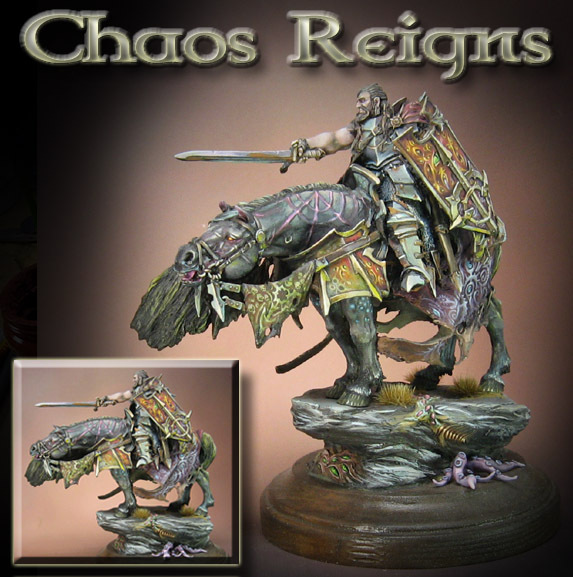 There's forest basing, swamp, rocks, and more! It has all of the advantages of milliput and green stuff, but none of the disadvantages.